This paper highlights the importance of power tolerance when choosing solar panels. Power tolerance is a measure of how much electrical power a solar panel can produce above or below its rated capacity at any time. For example, a power tolerance of -5%/+5% on a 100-watt (W) panel would mean the panel could produce 95 W to 105 W under real-world conditions. A 0% negative power tolerance means that the panel should always produce power equal to or greater than its rated power. During solar panel manufacturing, it is standard practice to carry out a flash test, exposing each panel to a flash of light (1-30 millisecond of 1,000 W per m2), a substitute for sunlight, and measuring power output. 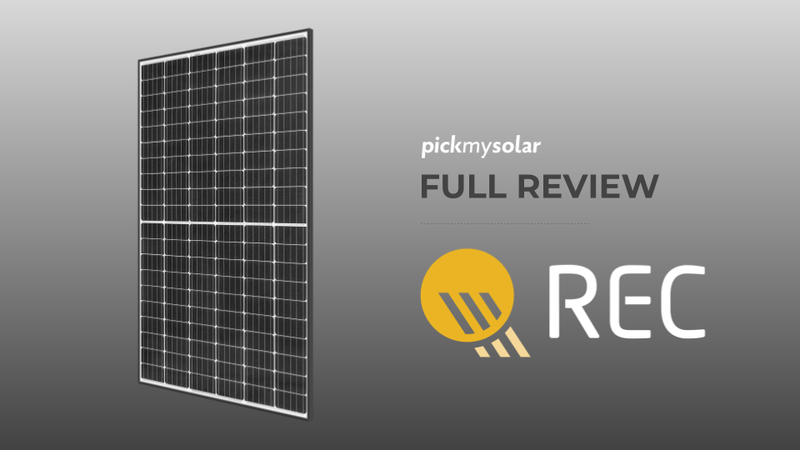 The panels are then sorted according to the measured power values which vary in range up to 5% of the rated output. This is a factor worth considering while purchasing solar panels. A customer would like to score the panels that produce power at or above rated power, but not below. 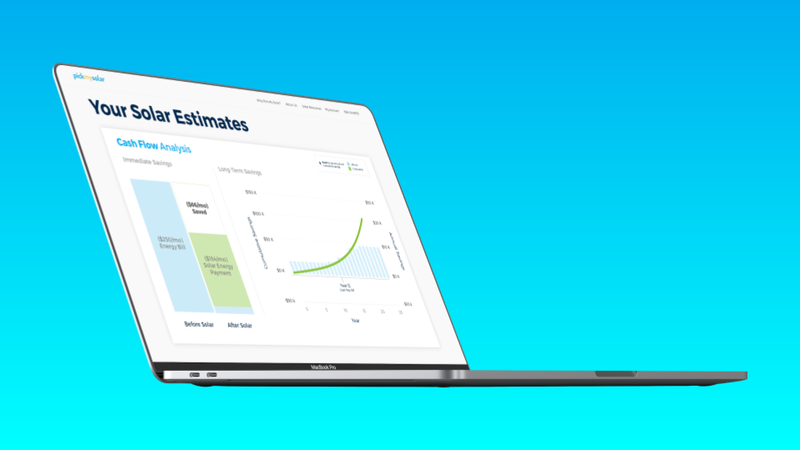 Any variation affects revenue generation. A smaller power tolerance range promises more accuracy. 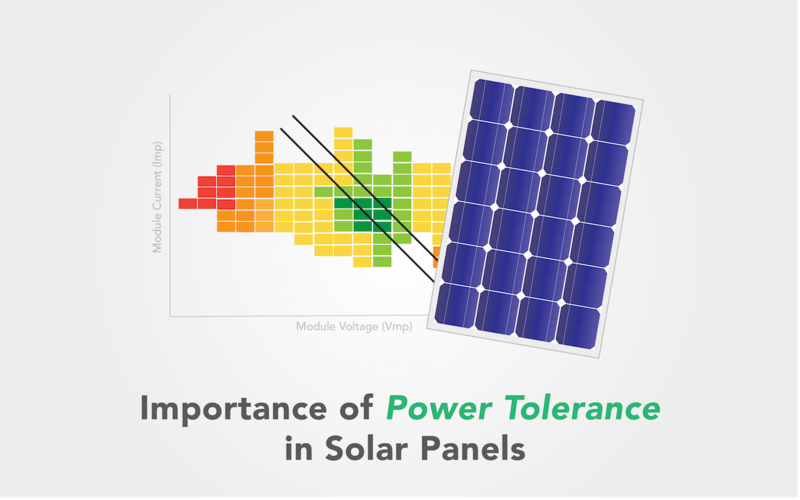 Power tolerance is specific to each solar panel product line, as mentioned in the respective product data sheet. Solar panels are sorted after manufacturing. To understand why, consider an example where for the same rated power of 100 W, two panels having -5%/5% power tolerance operate at different ends of the tolerance range: i.e., at 95 W and 105 W. One may operate at a current of 4 amps (A) and a voltage of 23.75 volts (V) (23.75 x 4 = 95 W), and the other may take 4.2 A and 25 V (25 x 4.2=105 W). Even two modules having 100 W output may also operate differently as (25 V x 4 A) and (24.4 V x 4.1 A). 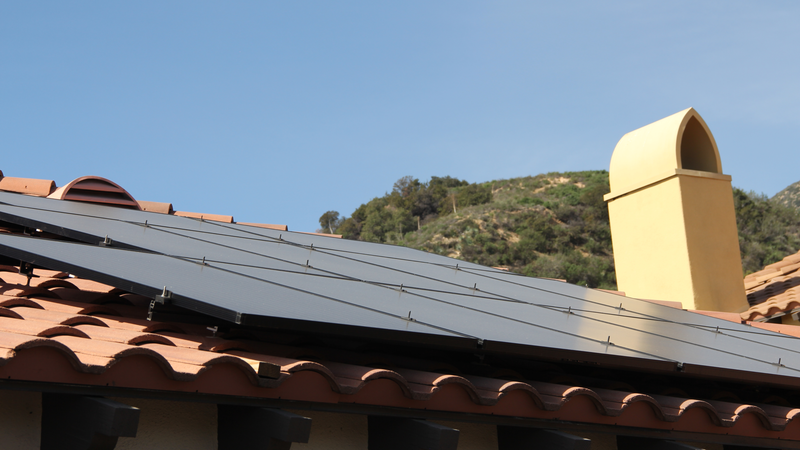 Every solar panel in an array can operate at different voltage and current levels. The panels after manufacturing can also be sorted by voltage or current. When solar panels are connected in series, the sum of individual panel voltages appears across the entire circuit. Thus voltage has no negative impact in the system and thereby this level of segregation can be neglected. But producing power at different current levels incurs system losses. This is known as solar panel mismatch. It also accelerates solar panel degradation. Solar panels connected in series should operate at near-equal current levels to reduce losses and prevent accelerated degradation. Sorting on the basis of current requires additional resources, even if carried out at the time of manufacturing or right before the installation, and thus increases costs. Studies have shown that such sorting based on current does increase the energy yield. But this increase in production is too small to justify the cost. Therefore, current binning is generally avoided unless specified by large-scale solar developers. 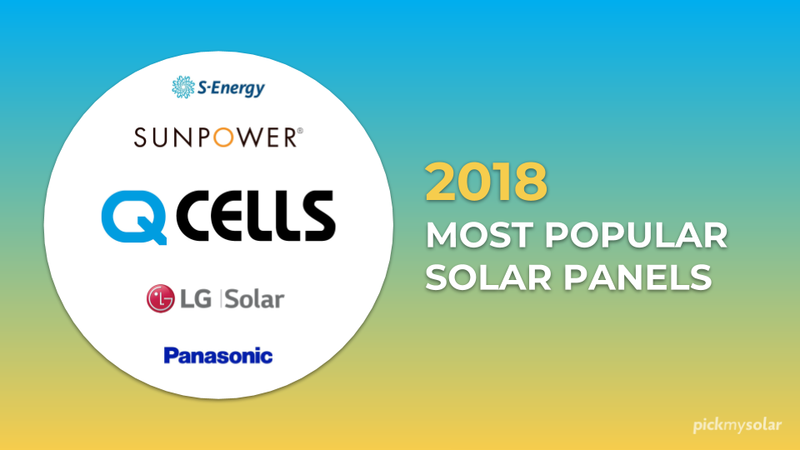 A solar panel’s optimal voltage-current combination varies according to solar irradiance and environmental conditions. The optimal combination is known as the maximum power point (MPP). By changing the resistance of the system, this combination of voltage and current can be modified, which impacts the power production. So if there are three data sets (V,I): (32V,7A), (33V,8A) & (34V,7.5A), then the second condition yields maximum power production (264W = 33 X 8). This point can be identified as the maximum power point. An MPP tracker is a device that combines a series of solar panels with mismatched current and finds the effective MPP at the string level.